It’s been on of those weeks where everything seems to be running low. This isn’t a whining, woeful story to start your weekend off with a good cry. This is my running trail. This is me trying to overcome all of the parts that feel like they’re running low by proclaiming Truth. I want to proclaim it to you. I want you to proclaim it with me. There are seasons of abundance and seasons that feel more like a drought. Right now, resources are running low. In the past weeks, Ten Thousand Homes’ general funding to keep our homes and space for discipleship, as well as our most basic ministry costs has run low. The gas in our ministry vehicle is running low. 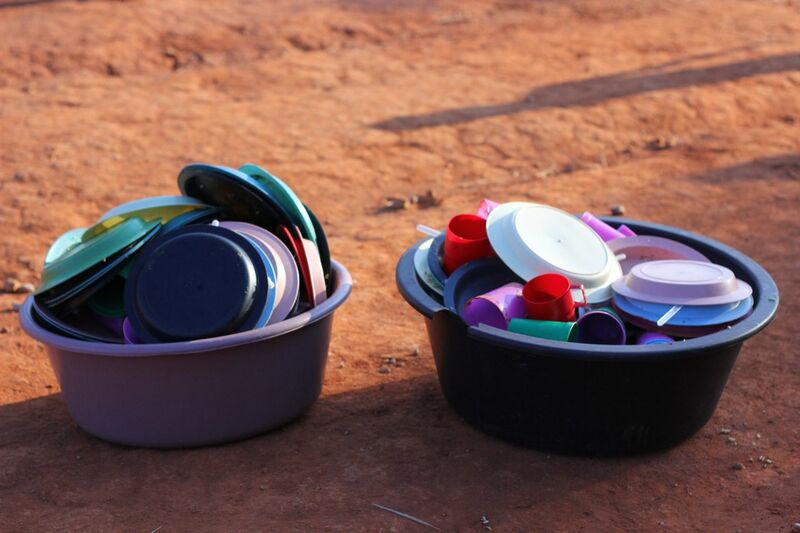 The gas for our kitchen stove and the ones for our feeding programs are running low. The finances we use to pay local workers has run dry. Even the international donations for our weekly feeding programs significantly decreased this week. Those perfectly brown and hungry-for-hope eyes just kept coming. The line wrapped around the big tree and then around the house. It seemed like a new set of hands would come every time I placed a plate in one. Plate-by-plate, I prayed for more with every plate. Finally, I began to watch the pots run low. Plate-by-plate served less and less. Until I had to tell 30 empty tummies that we’d run out. And then watch them scrape, lick and fight over the bottom of the pots. Their little bodies running on empty. My heart broken by the sound of hungry, trampling feet around a pot. On Tuesday, I went to visit 22-year old Mama Charity and her 4 babies 4-years old and under. 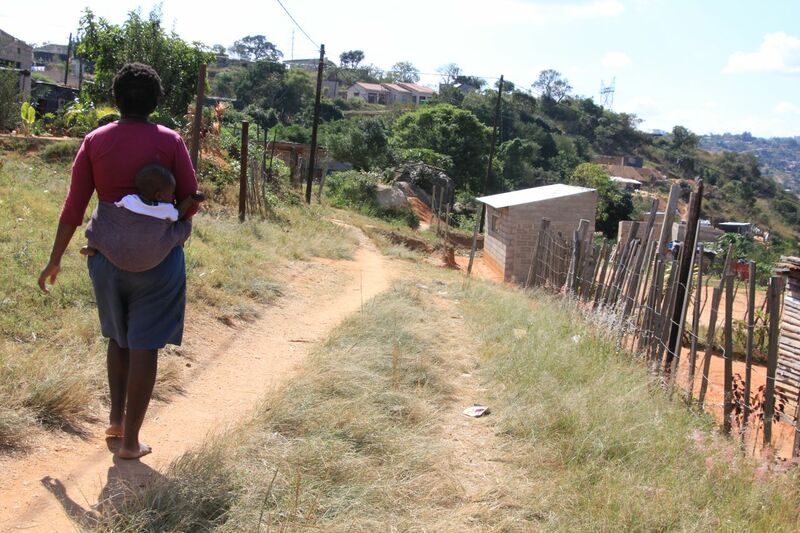 As we approached, so did two men in uniform who came to clear out the furniture in her borrowed shack. The only thing she owned in the world, she couldn’t pay for. I glimpsed into the empty shack – no food, no furniture. Hope ran low in both of us as she stopped trying to hold her head up under the weight of the overcoming tears. I looked down with this weeping woman, dressed in a bed sheet. I’ve watched the skin of her stomach stretch far and round, most likely carrying the newest joy, the newest burden, the newest mouth, only 10 months after the last one. Culturally, a woman, especially a woman who is running low on everything, doesn’t speak of a new life until it’s here. You don’t ask; you don’t speak; you don’t name – just in case. I ran out of words. I wondered what ran through her mind. I wondered if it would get dangerous – if she would completely run out of hope. She said she just needed a break. So I scooped up the three children who were not breastfeeding, put them in my car and took them to our feeding program. And then back to my house for a slumber party. Those perfect babies – low on nutrition and affection. I tried to load them with protein and vegetables, only to watch it run straight out of their tiny non-absorbing bodies. A worthy attempt that left them laughing and running…. And me running low on toilet paper, Pampers, and laundry soap. This week I don’t think I’ve been bowing low in exalting awe. I’ve been crumbling low under the exhausting weight of running… dry, empty, out. Doesn’t HE get tired from all of this running low? Didn’t HE feel how heavy Mama Charity’s tears were? Didn’t HE hear how loud those tummies grumbled? Didn’t HE weigh the hair-pulling stress of our leadership, trying to steward tiny resources wisely for the safety and protection of the staff and the ones we are here to serve? It’s just right now. It’s just this life. It’s just today’s adversity. Some days it runs low, and some days it overflows. This day is only a breath, a whispered memory of an eternity of breaths and todays. When there’s enough, I say thank you. When there’s not, I say thank you. Because HE is good. His faithfulness, His love, HE never change. Thank you for the place I have to live and the people I have to live with. Thank you that when someone runs low, someone has enough to share. Thank you that the more I share, the more there is. Thank you for the hundreds of children we COULD feed this week. Thank you that it’s not about our hands, our plates, or our money. Thank you for Mama Charity, new life, and her precious babies. Thank you that healing can come through chicken, vegetables and a beanbag. Thank you for bathtub toys and extra sheets. No matter what temporary-tomorrow brings, it will soon become a story about yesterday. But Jesus... Blood and water ran from His body as he hung high, going lower than low to overcome death. He will always be alive. He came. He’s here. He’s coming. This next verse of Lamentations. I’m going to write it. I want to mean it. Thank you for making me weak. Thank you for being my strength. I choose to run in You. So well written, Kacy! It's such a powerful post. I love how you're talking about the reality of the situation and how God's heart breaks over it. 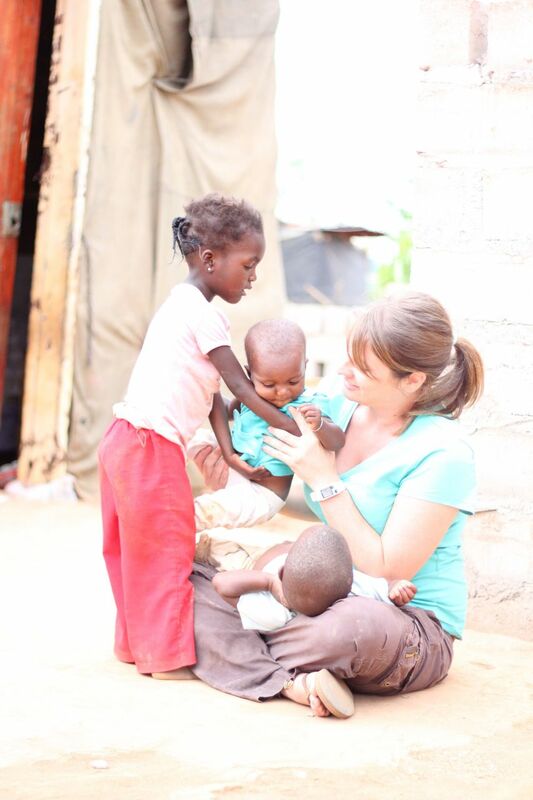 Praying for everything including Mama Charity and her sweet babies. My heart is broken for South Africa. Thank you for sharing your heart Kacy. 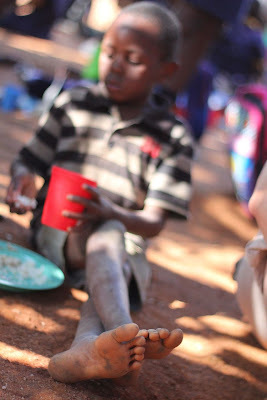 Thank you for sharing your love, your food, your God. Thank you for being His hands and feet. Thank you for helping others understand the need. Thank you. I am praying hard and my heart is so heavy! Father, please supply the needs of the hopeless and the needs of Your children. 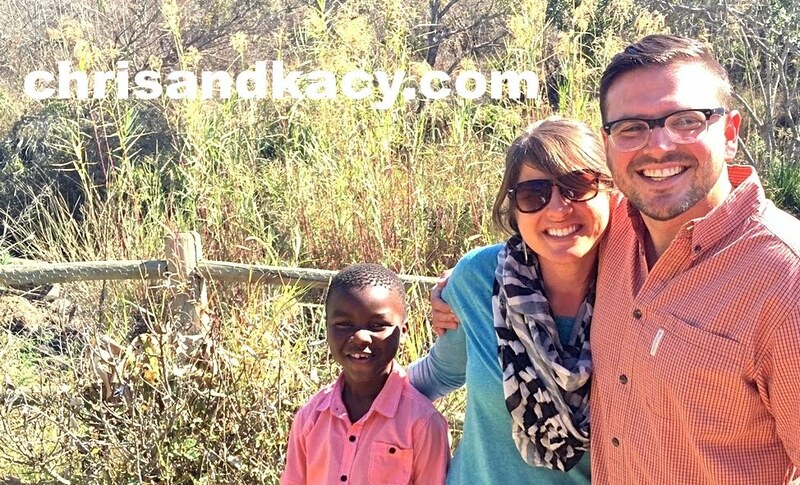 Thank you, Kacy, for being the physical hands of our Father in this really hard place.